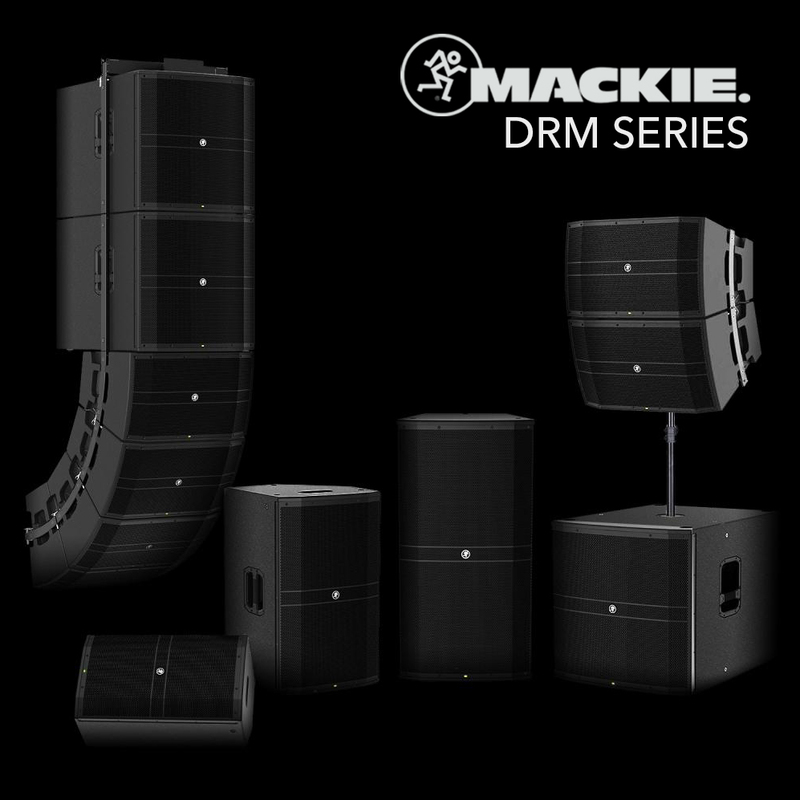 The new Mackie DRM Series offers best-in-class power, fidelity, and control. Incorporating Advanced Impulse DSP and the DRM Control Dashboard, the new DRM Series is the new flagship line from Mackie. 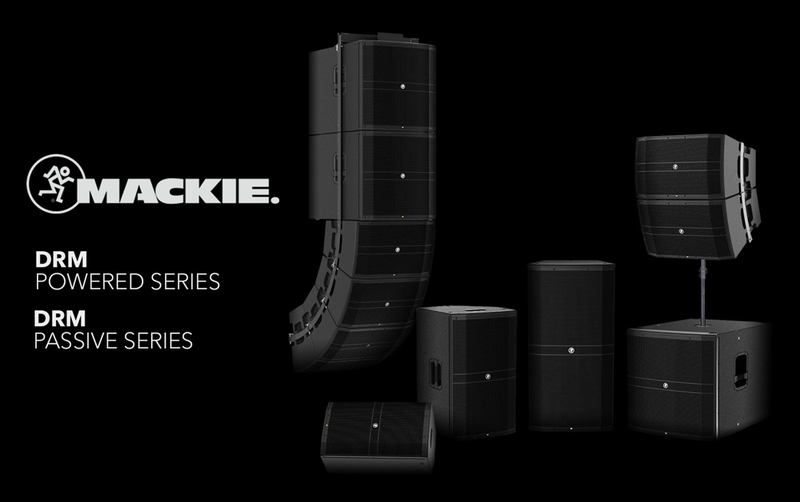 Mackie has launched its new flagship family of speakers; the DRM Series. With both active and passive models available, the DRM Series offers best-in-class power, fidelity, and control. The DRM Powered Series speakers provide a plethora of technology, blending the power of an ultra-efficient Class-D amplifier with the acoustic correction capabilities of onboard DSP. The result is a powerful, self-contained system which offers a "punchy sound typically experienced only with massive touring systems." The DRM Powered series offers up to 2300 Watts of clean, efficient Class-D power. Power Factor Correction technology ensures you'll maintain smooth and reliable operation, even when plugged into AC outlets with less-than-perfect current stability. Each active DRM speaker is controlled by an Advanced Impulse DSP module providing FIR filters, transducer time-alignment, and precision crossovers for superior clarity and low-end response. This DSP technology is designed to correct the inherent anomalies in loudspeaker design, resulting in a linear response across the entire dispersion zone (horizontal and vertical), as well as across the frequency range and time domain. With this level of onboard DSP power, users are guaranteed a linear platform on which to create their live mix. The active DRM models also feature an onboard DRM Control Dashboard display. With one knob and a clear visual display, users can take full control over the speaker's DSP to quickly and easily get the perfect sound for any venue. 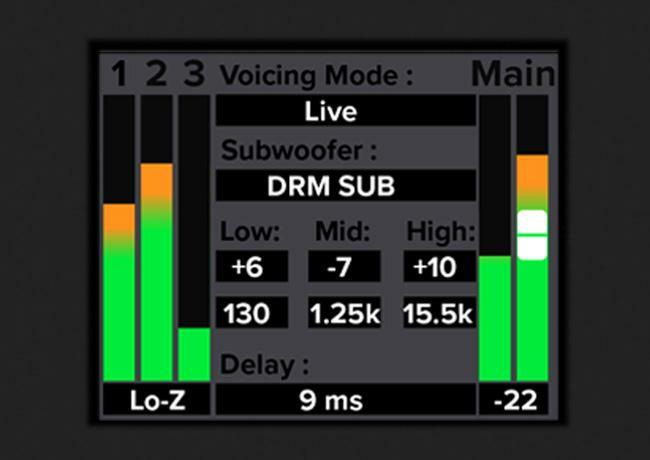 The DRM Control Dashboard offers 3-band parametric EQ, Venue Specific Voicing Modes, Variable Crossover, Alignment Delay, and speaker Configuration. The DRM Series is available with both active and passive models in a versatile range of configurations encompassing all mounting locations from the stage to the front-of-house. All DRM models feature M10 fly points for professional mounting. 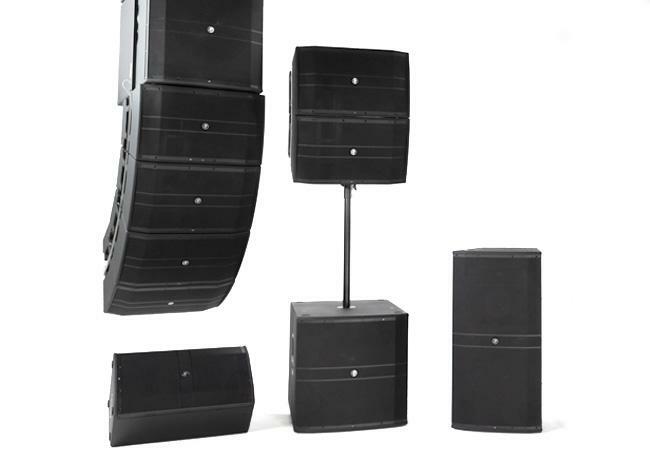 The DRM Powered Series includes 2-way loudspeakers (Mackie DRM212 12" / Mackie DRM215 15"), a subwoofer (DRM18S 18" Professional Powered Subwoofer), a 3-way loudspeaker (Mackie DRM315 15" 3-Way Powered Loudspeaker), and a line array model (Mackie DRM12A 12" Arrayable Powered Loudspeaker). Each model is also available as a passive version - see Mackie Passive Loudspeakers for more. With a solid plywood construction and internal bracing with touring-grade textured coating, the DRM family is built for the most demanding of applications. The Powered Series offers the perfect setup for bands, clubs, and rental systems, while the passive system can be combined with MX Series Amplifiers and the SP260 Loudspeaker Processor to create a complete Mackie Professional system.